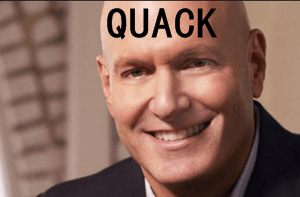 Dr.” Keith Ablow, a member of Fox News’ “Medical A Team,” is continuing his propaganda filled and baseless smears against LGBT people this time with an ill-informed, transphobic rant against a new California law that allows transgender students to use bathrooms that match their gender identities. Ablow used the same “bathroom panic” lie that’s been central to Fox’s c overage of the legislation and all anti-LGBT groups as well as extremist conservative GOP members. “I don’t see anything but toxicity from the notion of a person with female anatomy feeling free to use the urinal in the boys’ rest room while a boy stands next to her and uses one, too. Governor Brown is one of the liberal politicians in the world who wants to sell people on the idea that he loves freedom when he is actually addicted to disempowering people. Ablow also went on to falsely state that there’s no proof that transgender people even exist. Let me put that more clearly: I am not convinced by any science I can find that people with definitively male DNA and definitively male anatomy can actually be locked in a cruel joke of nature because they are actually female. Ablow is a bad medical joke. He has a long history of purposely misinforming and commenting on issues that he’s completely unqualified to discuss, Ablow is also one of the network’s most vocal defenders of junk “ex-gay” therapy programs and lashes out against the American Psychological Association for being politically motivated whenever its stances don’t comport with his bigoted views. Ablow’s dangerous and intentionally misleading hyperbole and pseudoscience discredit him as a medical professional. If Ablow really is a “Doctor” through the American Medical Association his credentials must be revoked immediately. He is a danger to LGBT Americans everywhere.